The AFA Victoria Sunderland Branch incorporates 10 Squadron RAAF, the first RAAF Squadron in action in WWII, 461 Squadron RAAF, the Anzac Squadron and 13 RAF Squadrons. Meets at Malvern East RSL. Please contact Secretary for meeting date. In this edition: the ANZAC Day March 2018 | 75th Anniversary Commemoration – Praa Sands, Cornwall | New Corgi Aircraft Model: the Sunderland Mk III | Coming Events| ...and more. 2017 was a year of many significant events. Two members of our Sunderlander family celebrated their 100th Birthday, the NSW Branch continued its Sunderland Awards Night for the 48th time, and for the First Word War students, it was the Centenary of the Light Horse Charge at Beersheba as part of the 3rd Gaza Offensive in October 1917. 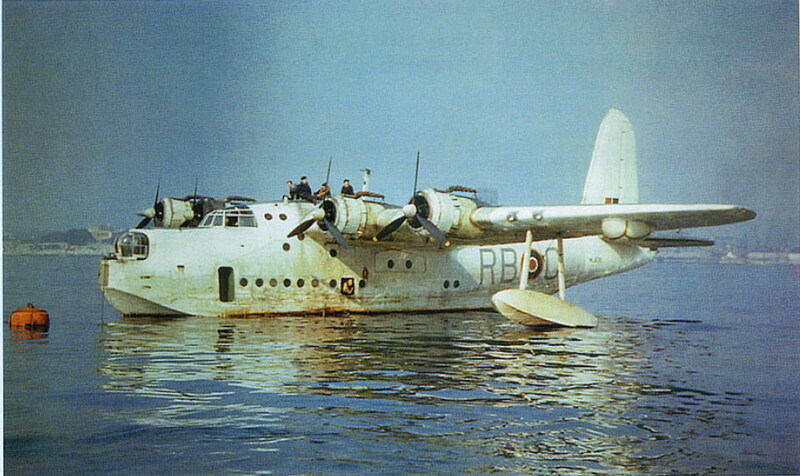 The prototype Short Sunderland flying boat first flew on 16 October 1937, and nine Mk I versions were ordered for the RAAF under the A18 designation. However, when No 10 Squadron accepted the first aircraft, P9048, at Pembroke Dock on 11 September 1939, the squadron remained in the UK with RAF-serialled Sunderlands, and was later joined by No 461 Squadron. From the first confirmed submarine "kill" by Flight Lieutenant W. N. Gibson's crew on 1 July 1940, the two squadrons destroyed almost a dozen U-boats.